The Eastside is the soul of the city. Explore our food, festivals and fun. San Antonio is rich in black heritage, and the Eastside is the soul of our city. From historic landmarks, such as Ellis Alley and the Healy-Murphy Center, to the educational and creative hub that is the Carver Community Cultural Center, our African American culture runs deep. Our events are as diverse as our culture, too. 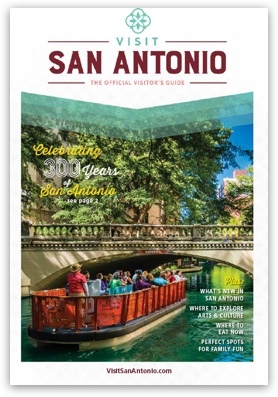 Experience soul food festivals, the inspirational MLK March – one of the largest in the nation- and, our vibrant Juneteenth celebration, San Antonio’s black heritage celebrations are not to be missed. The San Antonio African American Community Archive and Museum (SAACAM) is a dedicated group of professionals supported by community volunteers who are in the process of establishing the first African American Museum on the Eastside. The organization plans to capture the complete history of African Americans and their contributions to San Antonio. Black heritage runs deep in San Antonio. And it’s an integral part of the city’s diverse cultural fusion. Come explore our food, festivals, museums and more.